AccuPOS EPOS: Simple, yet highly effective. At AccuPOS, we know that managing a charity shop is anything but easy. Receiving piles of donations, processing sales, creating rotas – charity shop managers have massive amounts of work to coordinate. Without a great EPOS system, this can be overly complicated for most, but with AccuPOS, you’ll find most of your jobs to be easier than ever. Managing a charity shop usually means hours and hours at work, going through the huge numbers of admin tasks that need completing. After all, without all this admin, the shop simply wouldn’t function, and your chosen charity wouldn’t benefit to the maximum. AccuPOS EPOS gives you a break though, allowing you to take your work home with you, or anywhere else you fancy going. 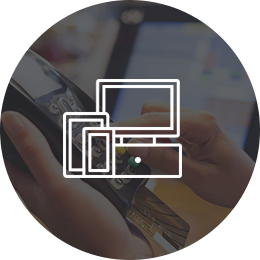 Just one password lets you access your EPOS from anywhere in the world, so you can complete those jobs in a little bit more comfort. Is there any more boring way to spend your day than trawling through endless books, trying to get your accounting up to date? 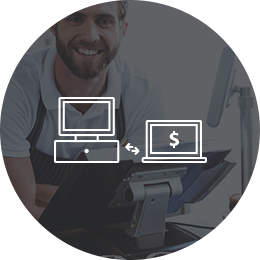 That won’t be a problem any more though, as with AccuPOS EPOS, you’ll be able to send transaction data straight to your accounting software, meaning no more long sessions entering the data by hand. With no possibility of human error, this means that you’ll also have the most accurate picture of your finances ever, which will help massively when planning your future business strategy. Don’t just take our word for it though – ask the people at Sage and QuickBooks Marketplace, both of which have recommended us to their customers. There’s nothing more frustrating for a business manager than having to shuffle their business to fit around new technology – and this is exactly what some EPOS providers will make you do. Not AccuPOS though, as we’ll bend over backwards to create a system to fit around you, doing everything we can to create the best bundle of software and hardware possible. 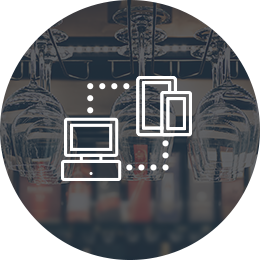 We can add as many terminals as needed to your business; we’ll happily work with any existing compatible hardware; and we’ll give you the option of going mobile. What’s more, we’ve kept our interface simple, so your staff will take to it easily, completely minimising any possible disruption. It’s your business, and we aren’t going to tell you how to run it.